A sensor device is important role play for sensor data collection of industrial wireless sensor networks (WSN) in automation applications. The reconfigurable wireless sensor network reliable measurement of parameters by smart sensors and transmission of data via internet. However collection of data such as sampling rate and signal types of sensors are efficiently transferred commonly restricted by the device. Meantime in the Internet of Things (IoT) environment each sensor connected to the device is required to write complicated and restrict some data collection and control program code. In this proposed system to solve these problems a new method is introduced to design a reconﬁgurable smart sensor interface for industrial WSN through IoT environment in which ARDUINO (AT mega 8A) is adopted as the core controller and Zigbee module. In this system presents a wireless sensor network using temperature, CO2 gas, air humidity and temperature surrounding location in buildings. This network automatically controls varies applications by means of changing temperature settings in air conditioners and fridge. The presented method hardware implementation without affect interior devices of the air conditioner. The wireless sensor network measures temperature, unnatural gas and humidity around occupants and further transmits temperature commands for air conditioner control. Based on the measured data this system aims to automatically maintain human thermal comfort as well as save energy and protect ozone layer depletion from CO2 gas. Temperature sensor, Humidity sensors are used to monitoring the environment parameters data to air conditioner controller unit. Kalaivani S, P Gomathi. "Reconfigurable Wireless Sensor Network Application of Air Conditioner Controller through IoT Technique." 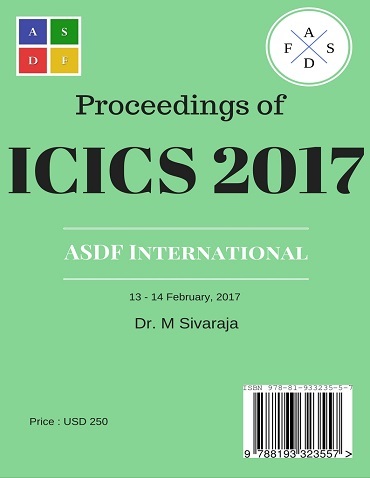 International Conference on Intelligent Computing and Systems (2017): 31. Print.